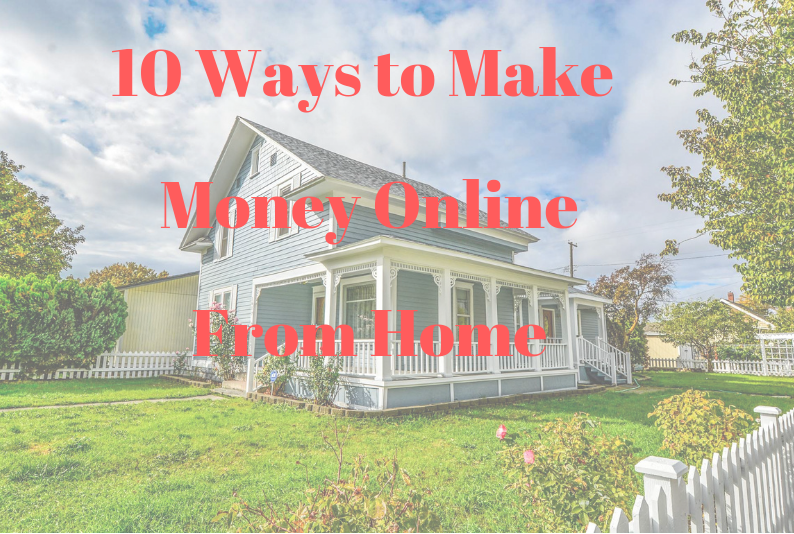 Are you looking for legitimate ways to make money online? If the answer to this question is yes, then you have come to the right place. We have done extensive research to bring you the list of best ways to generate passive income. If you don’t find a way to make money while you sleep, you work until you die. This famous quote by Warren Buffett about making passive income is one of the most inspirational quotes I have ever come across. I know you are tired of commenting ‘Info’ and all those comments on the trash, “money making posts” that you see on a daily basis on Facebook, only to find out that most of them are scams. That’s the reason you have come to this article hoping to find some of the legitimate ways to make money online. I have a huge list that I will be sharing on this blog, which is dedicated to teaching people on how to make money online in legitimate ways without getting scammed or without falling prey to all those shady tactics. Some are free while others are paid. Did you know you can get paid to take surveys and express your opinion? You can get paid for walking! Yes, there’s an app which pays you for that. There are sites out there, which pay you for viewing ads, watching videos. It’s going to be a long read, so you better grab a cup of coffee and a notepad so that you can note down these ways. The list is exhaustive, and with time, I am going to share all of those with you. So let’s get started. Did you know that you can make a full time living through blogging? There are many travel bloggers, fashion bloggers who make a lot of money by creating posts, articles and sharing their views. You can make money through Google Adsense, which is basically a program of Google which pays the publisher for showing ads on their blog. Affiliate Marketing is a way to make money online by recommending somebody else’s products, when you make a successful sale, you get paid a commission. Here’s a small example: For example, suppose you have joined the Amazon Associates program, and you are promoting one of the Amazon products on your website, if a user buys through your Affiliate link then you get paid, a commission depending on the price of the product that you sold, usually between 4-8%. This is one of my favorite ways to make money online. What if you were fired from your job and you don’t get a job anywhere for a long time? You can try out Freelancing. You can use platforms like Fiverr, Freelancer, Upwork to get Freelancing jobs which you do sitting at your home. All that you need to do is find your skills and bid on projects. If you want some extra money to pay your bills, freelancing is one of the options that you should try out. Did you know that you could sell your domain names for thousands of dollars? I know about a guy who sold one of his domains for One thousand Dollars, the other one sold his domain name for $10,000. One of the domain names ‘coffee.club’ was sold for a whopping amount of $100,000! You can read here about how this domain name was sold. What if I told you that there are people who have sold their websites for five-figure mark. Developing websites and then selling them at a much higher rate is called as Website Flipping. You will find that people have put their websites on sell for as high as five-figure mark and six-figure mark USD. Although, it isn’t as easy as it seems. There’s a lot of research work that needs to be done at the backend before you put your website for selling. You can create your own E-commerce store and sell other people’s products or your own products. Alternatively, you can also sell your crafts and art work online. So you are a really good photographer but those amazing pictures of scenery are just sitting in your smartphone gallery. What if I told you that you can get paid for it? Yes, you can get paid for those high definition pics that you have captured. There are so many sites that pay you for selling your online photos to them. I will cover this in a separate article if you want. There are so many motivational speakers, business experts, philosophers, authors who have their E-books for sale on Amazon. You could be the next one. You can be anyone, all you have to be an expert in your field. You could be a cook, a lawyer, a blogger and you can create your own E-book and put it for sale on Amazon or any other E-book selling platform you want. I know about so many Digital Marketers, Social Media Marketers and Affiliate Marketers who have their own courses worth $197, $297, $497, $1200. So if you are an expert in your field you can create your own course and sell it at a decent amount. Besides these, there are many other ways you can get paid for e.g, Swagbucks is a program which pays you for doing simple tasks, for doing surveys. There’s another program Inboxdollars which pays you for playing games, and for browsing. Isn’t that exciting? Getting paid for browsing! If you are looking forward to get started with Affiliate Marketing, here’s my no. 1 recommendation – Wealthy Affiliate. I hope you have enjoyed the article and I will come up with many such exciting articles and help you people make a full time living through Blogging and other means. See you in the next article!